Thanksgiving this year is 27th November and with so many American expats and tourists in the capital, more and more excellent restaurants are now offering a traditional Thanksgiving feast. At the end of the day what’s not to love about some sneaky pre-Christmas Turkey with Pumpkin Pie to follow, enjoyed with family and friends? Here then is our selection of our favourite London restaurants offering food with an American theme this Thanksgiving. The Lockhart is a Southern US restaurant on Seymour Place, Marylebone. The interior design is fresh and classic with furniture from vintage antique markets including old railway benches and antique sideboards. Mississippi born chef Brad McDonald is at the helm of the kitchen serving dishes from the Southern States. The style of The Lockhart also takes on the ethos of Brad’s previous culinary ventures in New York – dinner a la carte will feature some of Brad’s Brooklyn gastro flair – a refined spin on Southern American cooking. The menu for Thanksgiving will be served family style, and includes a Turkey as the main attraction, lots of traditional side dishes: Stuffing, Mashed Potatoes, etc, and Lemon Icebox Pie for dessert. For more details go to http://lockhartlondon.com/. The splendid Goring Hotel is considered one of London’s finest and has a long history of being a supporter of our friends across the pond. During the 1st World War the Hotel was the command centre for the Chief of the Allied Forces with a direct telephone link in force between General Pershing and President Wilson. 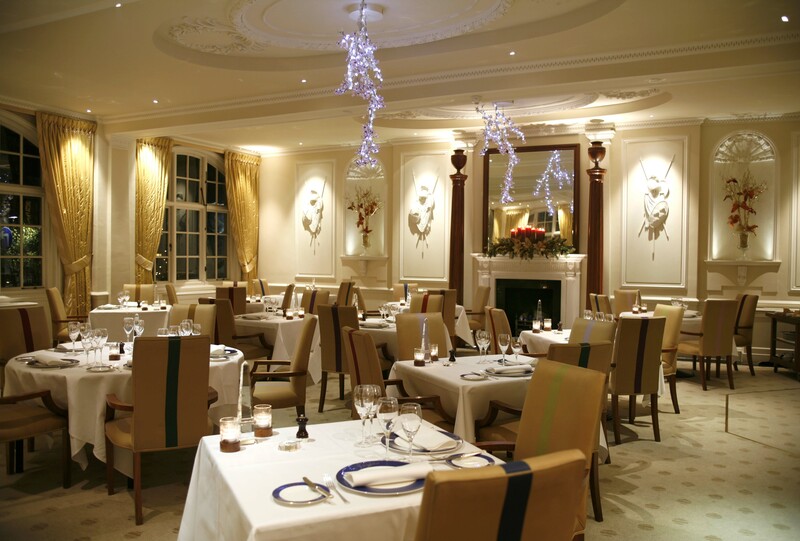 The menu at the Goring is a wonderful mix of inspirational and traditional this Thanksgiving. Try Sweetcorn Soup, Poached Native Lobster, Ricotta Gnocci, Shell Fish Oil (that’s all one dish!) for a starter. Relax with Thanksgiving Turkey, Sweet Potatoes, Maple Syrup Glazed Carrots and Chestnut Stuffing for main course, then go crazy with a Peanut Butter Jelly Sandwich with Cherry Sorbet. This is followed by tea and petit fours for £85 per person. For more details go to www.thegoring.com. Originally opened in 1991 in the heart of Covent Garden, Christopher’s has established itself as one of London’s prime American restaurants. Comprising of three newly refurbished spaces (re-opened in May 2013) that recall the heady-glamour of the Modern American era, Christopher’s brings you a Martini Bar on the ground floor, an elegant Dining Room on the first floor and a secluded Club Room on the lower ground floor for private events. Housed in a Grade II listed building with an interesting past of its own, including a period as a papier mâché factory and opening in 1870 as London’s first licensed casino, Christopher’s strives to bring you its own glamorous drinking and dining experience. They have yet again created an All-American set menu that kicks off with starters such as Maryland Crab Cake and Seared Scallops, followed by Slow-cooked Ballotine of Organic Turkey and Missouri Rubbed Rump of Lamb, and rounds up with Pumpkin Pie or a Peanut Butter Chocolate Torte. For more details go to www.christophersgrill.com. 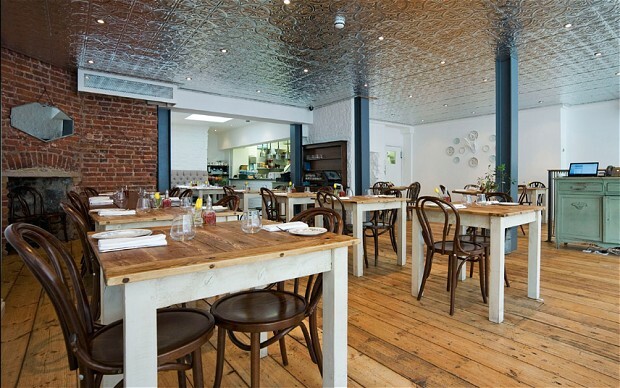 An all-day every day, informal neighbourhood 100-seat brasserie with an adjacent 55-seat bar, Sam’s is spearheaded by co-owner Sam Harrison, who previously worked with Rick Stein in Padstow and in Sydney for two years. Sam’s is also establishing itself as one of London’s leading music venues with jazz on a Sunday and appearances from many up and coming stars. The Thanksgiving Menu commences with cocktails from the bar such as Ginger Bread Martini and Brandy Egg Nog. Starters include such offerings as New England Clam & Slab Bacon Chowder, main course of Roast Norfolk Bronze Turkey, with Traditional Trimmings and sweet of Lemon Parfait with Salted Caramel Popcorn. For more details go to www.samsbrasserie.co.uk. This is what the quirky RHC has to say about Thanksgiving: “This Thanksgiving thing is like colour with no ‘u’, light beer and cheese as a condiment for everything – an Americanism we don’t really understand. But unlike light beer, it’s something we can get on board with – an expanse of eating all done in the name of thank-you.” The £35 two-course set menu includes Cornbread & Sausage Stuffing, Maple Butter Mashed Sweet Potatoes, Creamed Corn Casserole and Pumpkin Brulee Pie. Diners are also offered a complimentary cocktail. 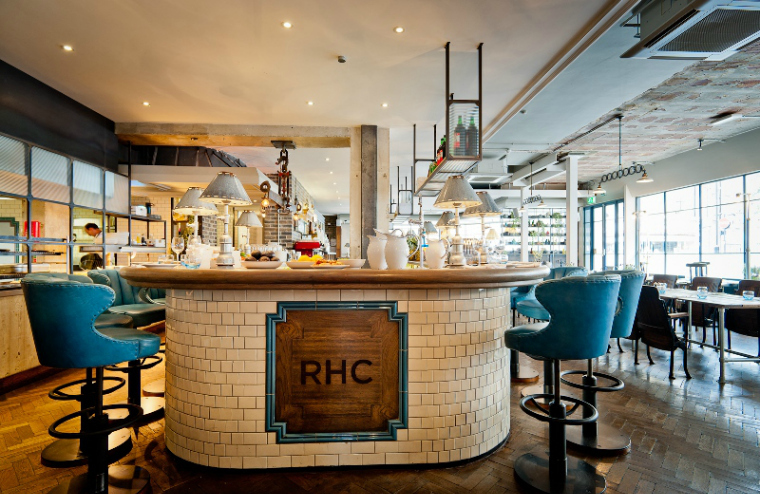 For more details go to www.ridinghousecafe.co.uk. Thanksgiving comes to to the Grand Cafe on Great Portland Street with a wonderful £45 set menu. 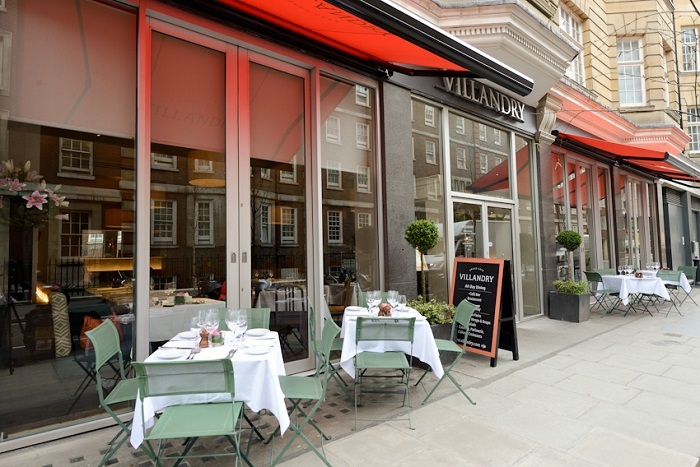 Villandry is a large food Emporium with four separate eating areas and outdoor seating: The elegant and more formal restaurant at the rear (on Bolsover street), the middle room, “The Red Room”, with the takeaway and cake counter by the entrance, and overlooking Great Portland street, with large folding windows, the Café & Bar. The menu includes such goodies as Roasted Mixed Beetroot, Butternut Squash Soup, Virginia Ham Roasted with Maple Syrup & Mustard and Mushroom & Quinoa Stuffed Globe Artichoke finishing with Rich Chocolate Mousse or Pumpkin Pie. For more details go to www.villandry.com. Since its restoration the Savoy Grill has an elegant 1920’s theme and is the epitome of theatrical Hollywood glamour. Thanksgiving here will transport you back to the time of glitterati from days past with famous names such as Marilyn Monroe, Frank Sinatra and Elizabeth Taylor amongst its diners. OK so not strictly speaking a London postcode but really not far outside in the picturesque grounds bordering Windsor Great Park is Dorchester’s luxurious country house hotel Coworth Park. Well worth a little journey out of town it’s an idyllic place for a romantic retreat and a favourite with families. 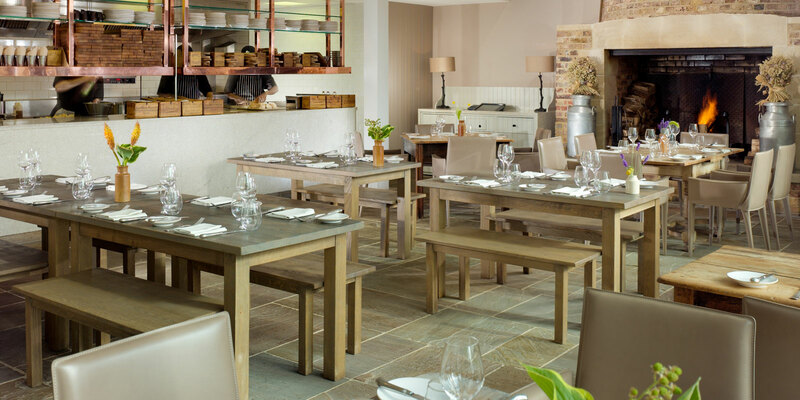 The Barn restaurant is situated a short stroll from the mansion house, adjacent to the stables and cottages. Housed in the original barn frame with rustic features such as a stone fireplace, The Barn has a full wall of windows overlooking its own outdoor terrace for al fresco dining. And with stone floors throughout you’re more than welcome to keep your muddy boots on. Thanksgiving promises a traditional feast with the menu offering Barbecue Rack of Ribs with Hickory Sauce, New England Clam Chowder and for main course a traditional Roast Turkey with trimmings or alternative Turkey Sliders, Hand-Cut Fries with Red Cabbage and Apple Slaw. For dessert enjoy Chocolate Brownie with Jim Bean Ice Cream or Pecan Tart with Vanilla Bean Ice Cream. Starters and dessert are £8/9 and main course £18.50 – £22.50. For more details go to www.dorchestercollection.com. Located in the Dorchester Collection’s new Mayfair Hotel just steps away from its sister hotel The Dorchester, CUT at Park Lane mirrors the award-winning original CUT in Beverly Hills offering outstanding steaks, a superb wine list and impeccable service. A striking central staircase leads to the first floor Bar 45, famous for its sliders and exotic cocktails and on to interntionally-acclaimed chef Wolfgang Puck’s first restaurant in Europe, a modern American steak restaurant. This year a traditional Thanksgiving menu is available along with specially created cocktails. The menu draws from Chef Puck’s Austro-American roots and will feature traditional dishes such as Roasted Pumpkin Soup with Cranberry-Quince compote, Roasted Turkey with Wild Mushroom Stuffing and Red Jewell Sweet Potato Gratin, and Red Jewell Sweet Potato Gratin with Toasted Pecans. A festive twist will be given to CUT staples for dessert and will include Spiced Pumpkin & Vanilla Gelato Baked Alaska and Toasted Pecan Cake with Candied Pumpkin Seeds. For those who want to toast the holiday with a drink, Bar 45 will offer guests the Black Friday Thanksgiving cocktail created by Bar 45’s star mixologist, Thomas Morris. The cocktail will be comprised of Campari, sweet vermouth and gin which will be infused with cloves, star anise and cinnamon. The Thanksgiving menu and cocktail will be available from 1 November and will be priced from £90 per person. For more details go to www.dorchestercollection.com/london/45-park-lane. For our recommendation of the very best restaurants near you, download our free app here for android and here for iphone. 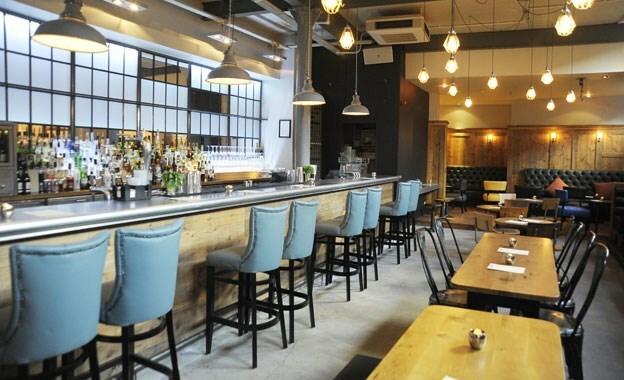 To find out more about what great benefits our membership offers to diners go to www.designrestaurants.com. Such a great information regarding food places in London. It is hard sometimes, to find the best food destinations in a new place. It will become easy to choose where to go for having a bite after reading your article. Thanks for sharing.